What’s inside Me? area of Bodyworks. 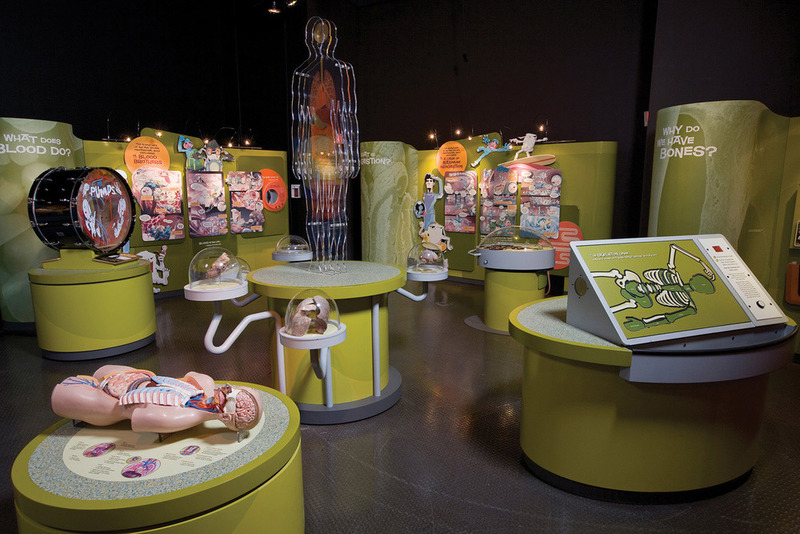 Bodyworks is a 3500 sq-ft exhibition at Science World that introduces visitors to the science of human biology. Working with designers Jodie Braaten and Margot McLaren, I illustrated most of the content for the What’s Inside Me? area. 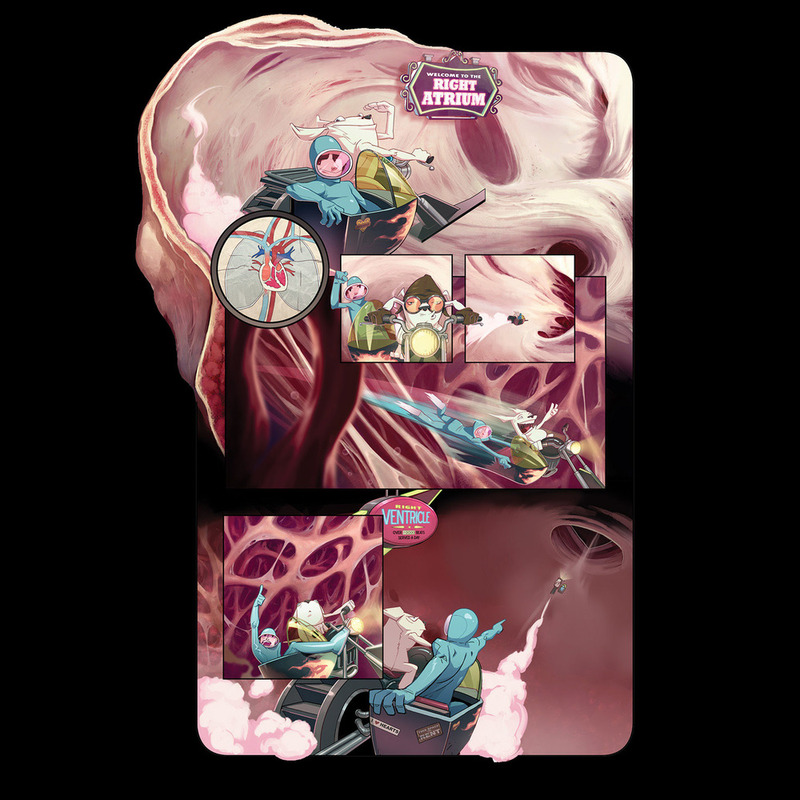 With the assistance of CG/comic artist Ramil Sunga, we illustrated a series of wall-sized comic panels that told the story of two explorers, Art and Spleen, traveling through the skeletal, circulatory and digestive systems. I did the layout, pencils, lettering and character design; Ramil did the final coloring and rendering of the comics themselves. Details of comic panels for Digestion Wall; Heart Drum. 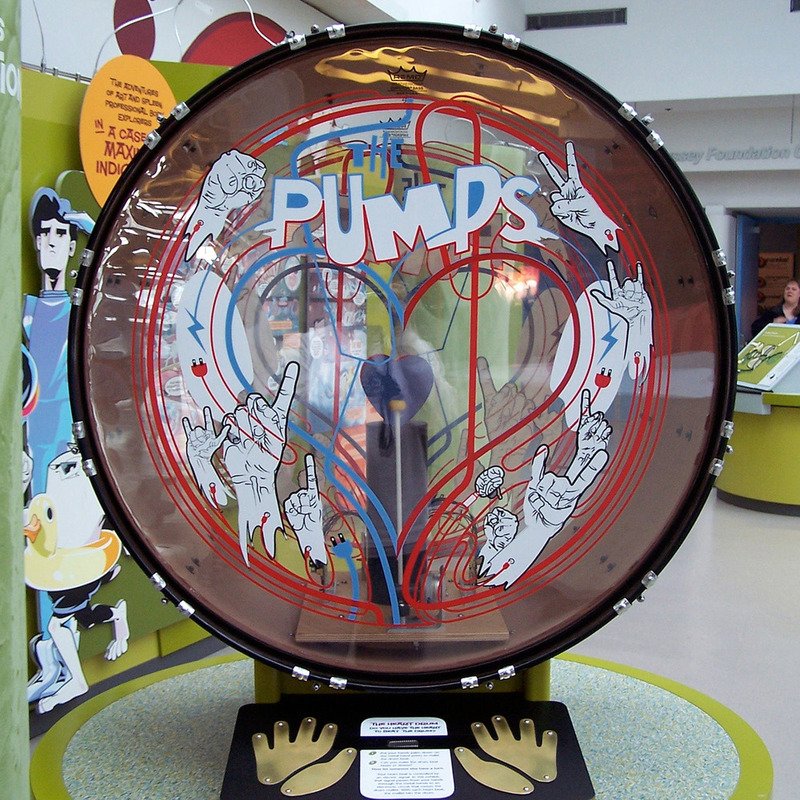 Illustration for interactive heart drum. Character Sheet for Art and Spleen, Professional Body Explorers.